With an all star line up of riders and machines in place for the inaugural Classic TT Races, the Isle of Man Government, Department of Economic Development has released an equally mouth watering schedule of supporting events for the 2013 August Bank Holiday weekend. 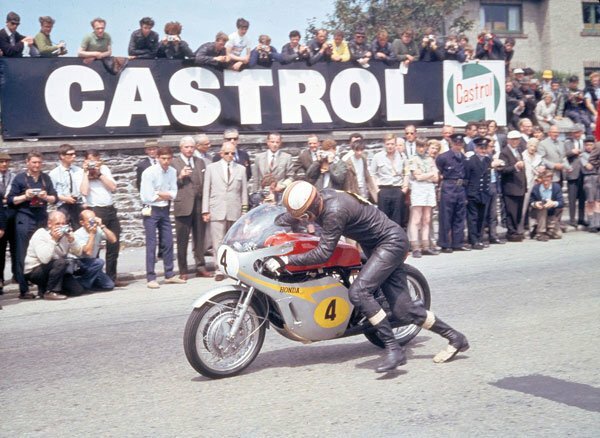 One of the greatest, and most dramatic, TT Races of all time - the 1967 Senior TT - will become the underpinning theme to the inaugural Classic TT with a number of themed activities planned throughout the four days. The Classic TT, which is part of the Isle of Man Festival of Motorcycling, kicks off on Friday 23rd August with the 'Classic TT Paddock Carnival' where the clocks will be turned back for the day at the TT Grandstand with displays from the Vintage Motor Cycle Club, Manx Classic Car Club along with priceless collections of racing motorcycles from the Yamaha Classic Racing Team, Team Classic Suzuki and Team Collins and Russell Kawasaki amongst others. The Classic TT Paddock Carnival will feature chat shows and autograph signings with legendary riders on a new stage area situated behind the TT Grandstand, as well as historic race footage on a big screen and live music from the swinging 60's. The emphasis will be on family entertainment with vintage fairground rides, and a Punch and Judy show, with fans encouraged to dress up in 60's style attire for the day. The main paddock area by the TT Grandstand will feature a host of events and activities throughout both the Classic TT and Manx Grand Prix periods, including a catering village, beer tent, retail area, live music, Mortons' Media Archive Exhibition and the return of an authentic 1960's Cocoa Tent that used to be a regular feature in the TT paddock. The '67 Senior Race, which became a two-way battle between Mike Hailwood and Giacomo Agostini, will be recreated in a special parade lap on Saturday 25th August. In the race, the riders battled for five laps, swapping lap records and approached the final lap almost level before a broken chain denied the Italian the win, and the fans potentially one of the most exciting TT race finishes of all time. 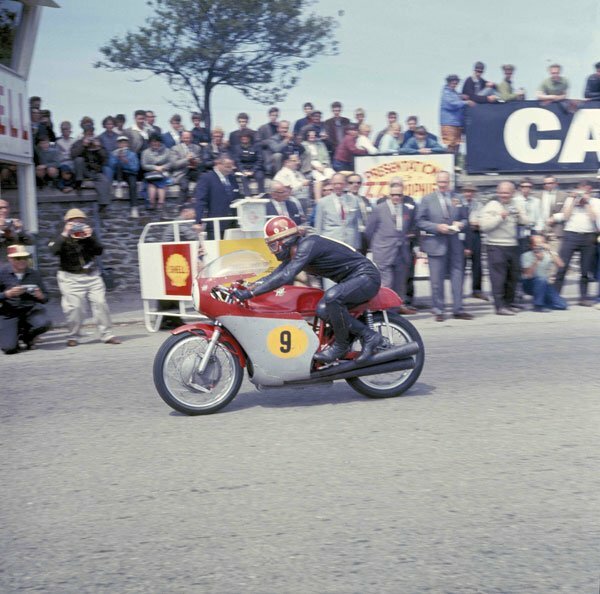 Mike Hailwood, will be represented by nineteen-time TT champion John McGuinness, on a replica of Mike's four-cylinder Honda RC181 complete with Hailwood replica leathers and helmet while Giacomo Agostini will be appearing on his famous 500cc MV Agusta. The Vintage Motor Cycle Club will play an integral role in the Classic TT with their members taking part in a special closed road parade lap on Saturday 24th prior the 500cc Classic TT Race. The VMCC will also be organising the increasing popular Festival of Jurby once more, taking place on Sunday the 25th of August, with parade laps, exhibitions, family entertainment, live music and air displays. There will also be a 'Classic TT Lap of Honour' on Monday 26th August, which will be for racing machines (solo and sidecar), with priority entry given to riders with TT and/or MGP experience. 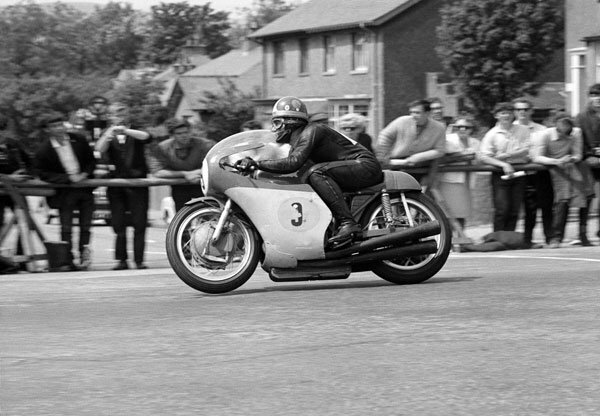 Some of the greatest names in TT history will line up for the Classic TT Lap of Honour in 2013 with Giacomo Agostini, Phil Read MBE, Mick Grant, Philip McCallen and Dave Molyneux amongst the early names confirmed to participate. The parade laps will be run under ACU rules for parading, and will be controlled on the course by the official event Travelling Marshals. Entries for the parade laps will open in January 2013 with a closing date for entries set at Friday 3rd May 2013. Interested parties can register for further information regarding entry application for either parade lap by e-mailing iomtt@gov.im. Classic TT VIP packages in the luxurious new 500-seat hospitality facility are available for Classic TT Race days - Saturday 24th and Monday 26th August, priced £150 + VAT. The packages include breakfast, complimentary bar and a gourmet buffet lunch, reserved grandstand seating, complimentary official Classic TT merchandise, the official Isle of Man Festival of Motorcycling programme and race guide, dedicated Wi-Fi access, priority parking and exclusive appearances by leading riders and special celebrity guests. There is also a Classic TT Platinum VIP package priced at £500 + VAT which includes a closed road parade lap in an official course car and exclusive access to the start-line, winners enclosure and post race press conferences. Grandstand seat tickets are also available for £10 on all Classic TT and MGP race days. The Classic TT VIP Hospitality Club will also play host to a Classic TT Party on Saturday 24th August, featuring 60's themed fancy dress, a band, bar and chat show while the Sunday evening's entertainment includes a 'TT Legends Dinner' in the VIP area which includes a three course meal with a TT legend hosting each table, complimentary wine, special limited edition gift, chat show, jazz band and auction. Tickets for both events are now available from official outlets including http://www.iomtt.com where tickets can be booked on line, or alternatively contact Regency Travel on 01624 694456 or Duke Marketing on 01624 640000. Tickets are priced at £20 for Saturday's Classic TT Party and £100 for Sunday's TT Legends Dinner. who have granted usage on a one off basis royalty free only in conjunction with illustrating this story only. contact Jane Skayman jskayman@mortons.co.uk / 01507 529 423.